To heat up storage tanks, jacketed kettles, wax melting, reactors, blending mills, oven coils, fuel oil pre-heating, drying air, etc. The Heater acts as a convector to heat up water, air, steam, gases & oil etc. 'U' shaped or rod type heating elements are mounted in a heavy flange, elements are sheated in copper, steel or alloy to resist chemical action with appropriate heating surface watt, densities normally required. 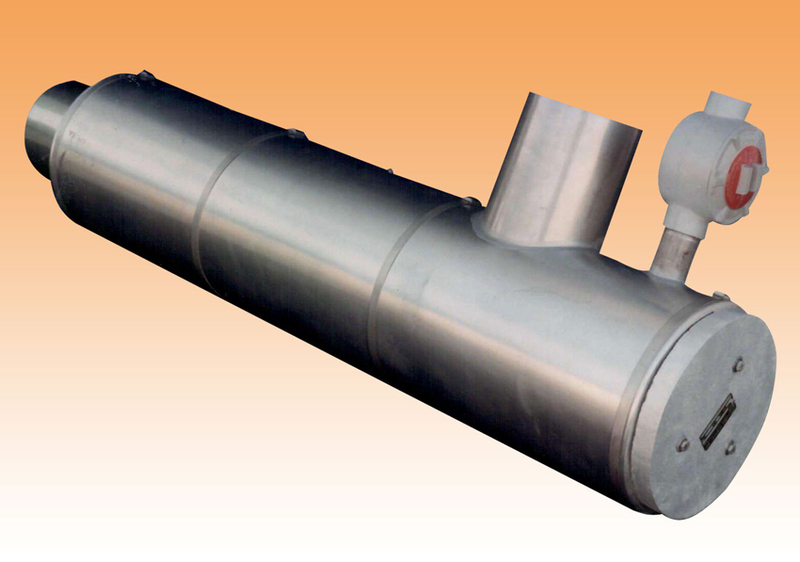 The flange, is welded to one end of a thick wall pipe or heating chamber. Threaded inlet, outlet and mounting legs are welded to the chamber, at end opposite the flange, a closure with centered drain tap, terminalwiring area is enclosed. 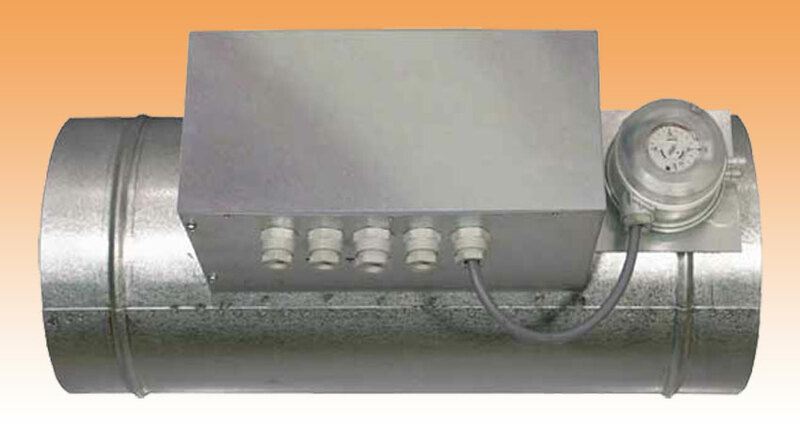 Completely insulated chamber and built in thermostat is also available if suitable to requirement. Dimensions as per specifications and requirements.